Now that the price of Bitcoin has settled back down to manageable levels many players in Canada, Australia and beyond are starting to once again enjoy the freedom and ease of the cryptocurrency. This of course means that business at BitStarz is booming since this Alt Coin is the foundation of their entire operation. Anyone who’s late to the party may want to read our exclusive review of the BitStarz Casino to find out the details of what you’ll find there. They don’t offer sports betting or poker, just tons and tons of casino games that you can gamble on with Bitcoin, and as a result, you get lightning-fast payouts when you win. Their special offer this week is a massive 200% match bonus up to 0.062 BTC on any deposits of 0.0006 BTC or more, which will immediately triple the size of your transaction. In addition, they’ll even throw in 180 free spins on the amazing Aztec Temple Slots as an extra incentive. Most casino promotions that dish out free games only hand out 20 or sometimes 50 spins, so 180 is extremely generous of them. 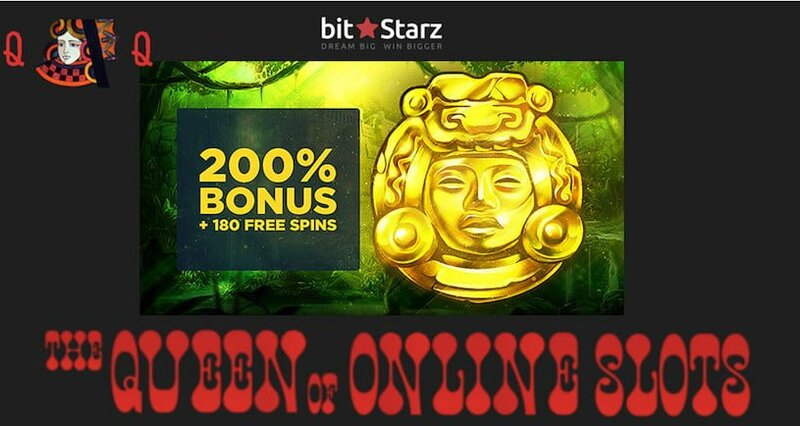 To get in on this great deal simply enter BitStarz bonus code: “DOUBLEWIN” when making your deposit and your account will automatically receive the extra cash and free spins. You’ll then be all set and ready to go with no extra hoops to jump through. This offer is only available for a very short time so go signup an account at BitStarz now to take advantage of it and grab your extra goodies.